When you drive in the snow or ice, it can often pose a challenge. Your overall trip is not only slowed down significantly, but also puts you in a risk of having an accident due to the slick conditions. Whether you drive a front wheel drive car, rear wheel drive car or all wheel drive car, you can still have a hard time in winter weather (regardless of your tires). To solve this problem, it’s important to keep a set of tire chains with you at all times. Some of today’s best tire chains are extremely easy to put on, and will most definitely increase your grip and overall driving safety. The only dilemma we have here is, which chains to choose? There’s truck tire chains, car tire chains, SUV tire chains, and even tractor trailer semi tire chains. Picking the right size is crucial to have the right fit, and to have the best grip. We created a guide to help you make a decision, 7 of today’s best tire chains are listed below (in no particular order). **Also check out on the full guide on brake pads. NOTE: Tire chains are also referred to as “tire cables”. According to Amazon, this is their best selling tire chain set. What we love about this set of tire chains are the easy of installation, and overall price. Compared to many other chains it’s hard to beat in price as it is really good value for the money. These chains in particular require low operating space, making them great for vehicles such as sporty cars, family sedans, and small to medium sized utility vehicles. Made of stainless steel, these chains will improve your starting, stopping and cornering performance when faced ice and packed snow. Additionally, these aren’t as bulky as some other tires, a smoother ride is to be expected. Very identical tire chains to the ones mentioned above, these are lower profile designed for use in vehicles that typically have less clearance in the wheel wells. 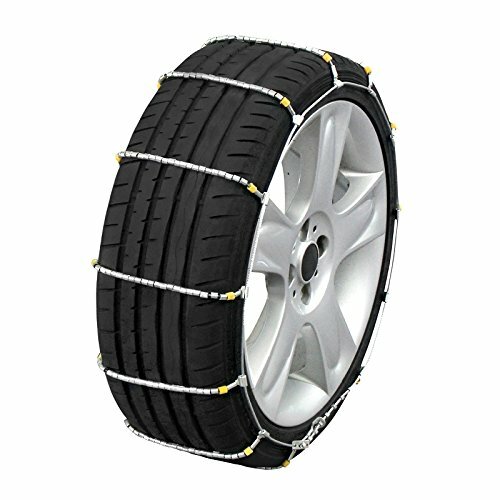 The Glacier 1038 Passenger Cable Tire Chains are perfect for your 4 door family sedan or minivan, coming in a set of two making them great for front wheel drive vehicles. Coming in a host of different sizes, you should expect to pay no more than about 45 dollars for a set of 2 tire chains. With the case hardened steel rollers on cable cross members, your traction in deep packed snow and ice will be drastically improved. Not only are these great for front wheel drive vehicle, they are great for rear wheel drive vehicles as well. Using a pair of these will not void your warranty. Here’s a set of snow tire chains that are perfect for every type of vehicle. The Security Chain Company SZ435 Super Z6 is the ideal set of chains you should look into when you operate passenger cars, pickups, or SUV’s. Coming in a set of 2, initial setup usually should take no more than 5 minutes per wheel. These are designed vehicles with low clearance in the wheel well, so you won’t have to worry about destroying the inside of your wheel well. With rubber tighteners, it means you won’t have to stop and re-tighten after installation. Overall traction in deep packed snow will be a breeze, and ice won’t stand a chance at letting your vehicle slide too much. This set of tire chains are 100% compatible with vehicles that have anti-lock breaks, traction control, all-wheel drive, and other electronically monitored control systems. If the type of vehicle you have is a light duty tuck or SUV, the peerless Auto-Trac Tire Chains are an excellent choice. Unlike the lower profile tire chains mentioned above, these are designed to be used under low speed (30 miles per hour or less). They have a self tightening ratchet which allows you to not stop and constantly re-tighten the chains. Installation is relatively easy, and the diamond pattern cross chains provide a smoother ride and excellent traction. These are ideal for use in trucks and SUV’s, not as bulky as you’d think, allowing you to use them with a fair amount of clearance in the wheel well. A set of 2 will set you back about 90 dollars, they are easily stored in the nylon case which can easily be tucked away in your vehicles trunk OR, under a set. Low profile, cheap, made for low clearance vehicles, the Quality Chain Cobra Cable Tire Chains are those chains. These are made to fit a WIDE array of tire sizes, specifically catered towards vehicles that are front or rear wheel drive. Although the rubber adjusters are sold separately, once everything is fastened in place, you’ve got a drastic improvement in traction. For around 45 dollars (give or take), you have a set of tires that hugs your tires to ensure every part is making contact with packed snow and ice. 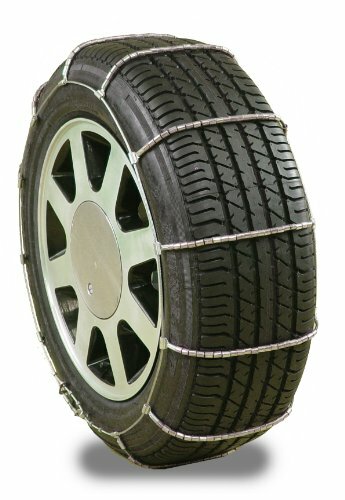 Durability wise, the stainless steel wires will last you a while as long as you use them in the snow. This right here is what you get for your SUV or pick-up truck. 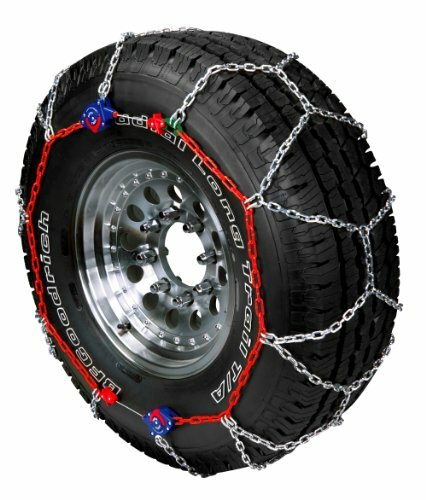 The Security Chain Company Quik Grip Light Truck Type CAM LSH Tire Traction Chains are designed specifically to be used on heavy duty vehicles, and especially vehicles with thick tire tread. 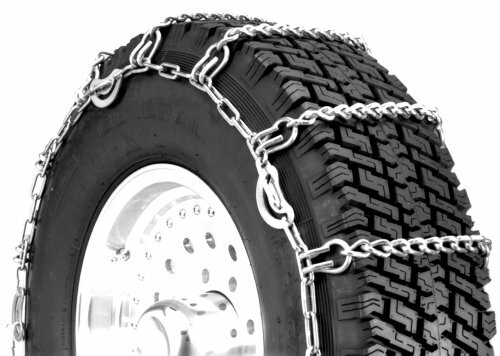 The chains themselves are thicker than your ordinary chains, so heavy duty vehicles can rely on them to get traction. 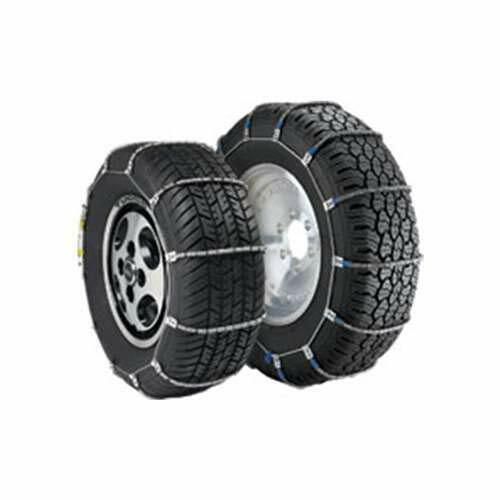 Tire cables are designed to work great with low profile clearance vehicles, while the Security Chain Company’s Quik Grip “chains” are designed to give optimal traction in deep packed snow, and ice. For under 100 dollars, you’ll get one set of chains with a cam for relatively easy installation. Again, any vehicle that has no issue with clearance will work just fine with these chains. Thule is definitely a premium oriented brand, with their roof racks, bike racks, and cargo boxes. Their mind is set on helping people get outdoors, and their equipment has proven to really help users get from A to B, much easier. The Thule 12mm XG12 Pro Deluxe Tire Chains are designed for SUV’s and Crossovers alike. 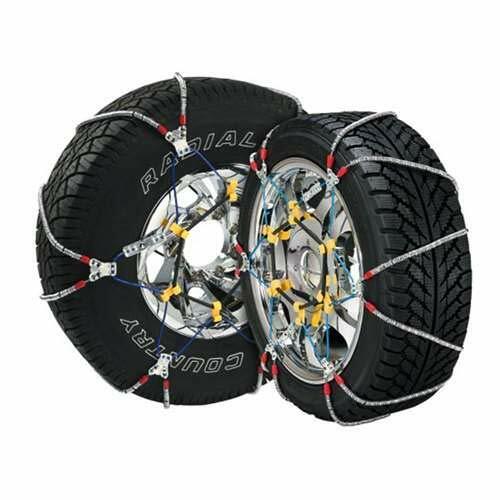 Bundled up in pairs, these chains can be fitted on tires ranging from size 225 to size 255. What’s great about these Thule chains, is that you only need 12 mm of clearance to wear them. Self tensioning and self centering is made quick and easy. The special pattern of chains is made specifically to grab packed snow and ice more aggressively. While priced at a premium, Thule backs these chains with their 5 year warranty. EXTRA: Having a set of tire chains is crucial for the moments when your tires alone won’t cut it. Some additional guides you may find useful are our torque wrench buyers guide for when you’re taking your wheels on and off, and our floor jack guide for when you need to lift your vehicle (jack stands are 100% necessary). A nice tool to have just in case of any snow, is a snow brush. Snow can accumulate fast, and when it’s cold out, you need to clean it off ASAP. Check out our guide. A quick video on tire chains..